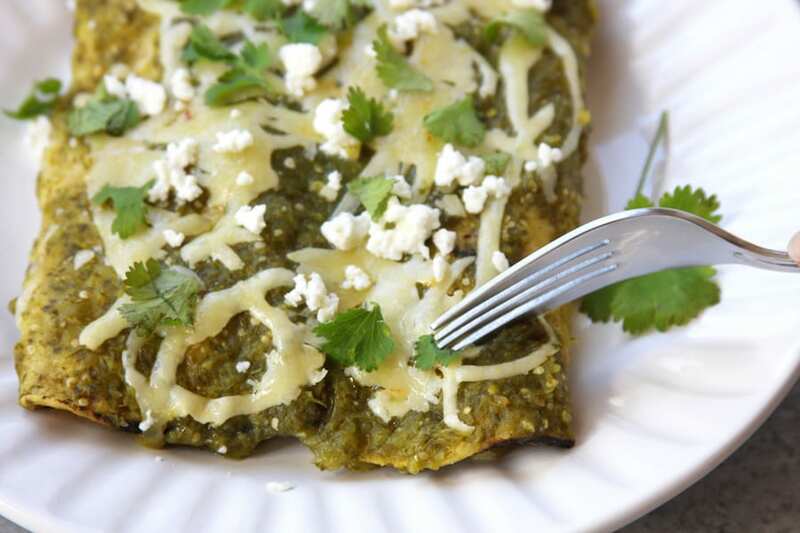 Lightened Up Salsa Verde Chicken Enchiladas recipe is an absolute family favorite but lower in calories than your traditional Mexican enchilada. 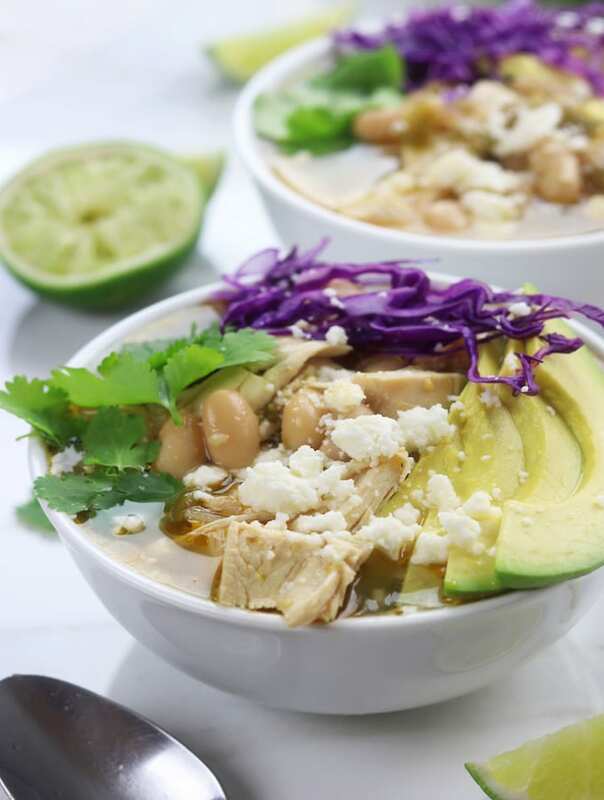 It has the creaminess and decadence of queso fresco cheese along with the refreshing flavors of tomatillos and cilantro. 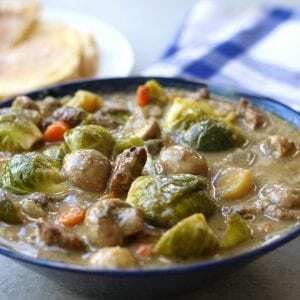 Absolute comfort food with out the guilt. Through out my years of counseling clients with weight loss I would often see the syndrome, “heck with it, I will start again on Monday”. In fact, I have seen myself do this one too many times. When this hits, usually the days leading up to Monday would then be filled with all kinds of calorie laden goodies. A number of different factors could bring this syndrome on, such as a highly stressful day or a party with tons of tempting foods. Of all the different triggers to the “heck with it” syndrome, one of the more common ones was good old fashion GUILT. Man oh man is guilt a powerful emotion. So often when someone is trying to loose weight or eat healthy, they have a set idea of what they “should” be eating. Usually, but not always, that falls in line with foods they may not always love. You know the ones, like sugar free jello with fruit suspended in it, or umpteen million baby carrots or anything tofu (no offense to the tofu eating crowd). Anyone with taste buds would grow weary of these after awhile. If they veer from what they feel they should be eating, major guilt sets in and it is a feeling of “I might as well eat what I want since I blew it”. Anyone who loves Mexican food would more than likely classify enchiladas on the naughty list with their ooey gooey cheese. Eating two could be enough to send the health minded individual into the guilt induced, comfort food tail spin. 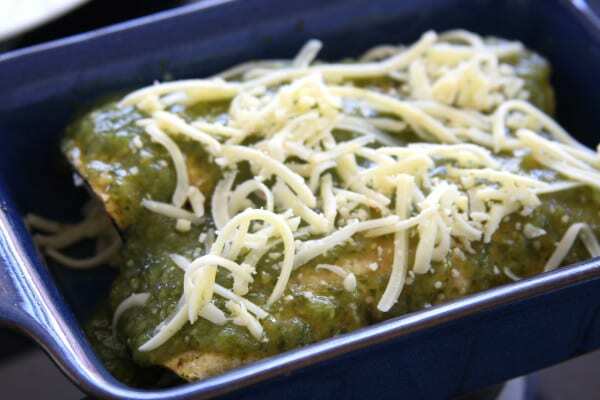 That is where these Lightened Up Salsa Verde Chicken Enchiladas come to the rescue. All the flavor and fun without that nasty old guilt. 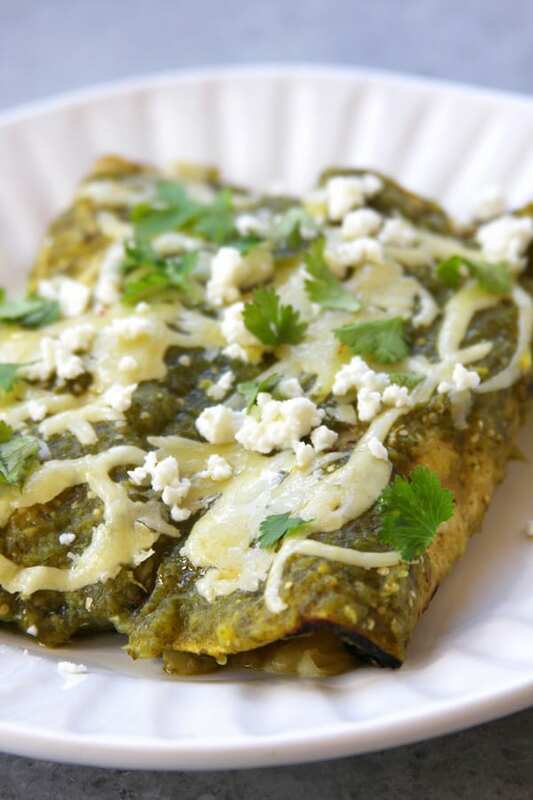 So you’re probably asking yourself, how on earth can she call these enchiladas lightened up? They clearly have a decadent amount of cheese? Traditionally when making enchiladas, the corn tortillas are lightly fried and then dipped into the sauce before stuffing and rolling. 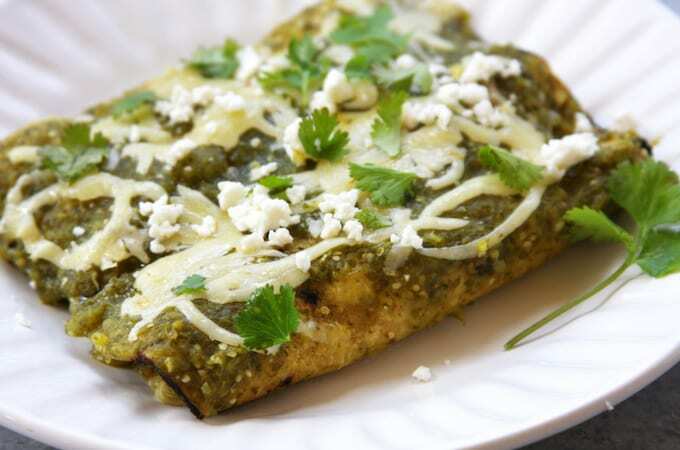 Rather than frying the tortillas for these Lightened Up Salsa Verde Chicken Enchiladas, we grilled them over an open flame and then dipped then into the salsa verde. 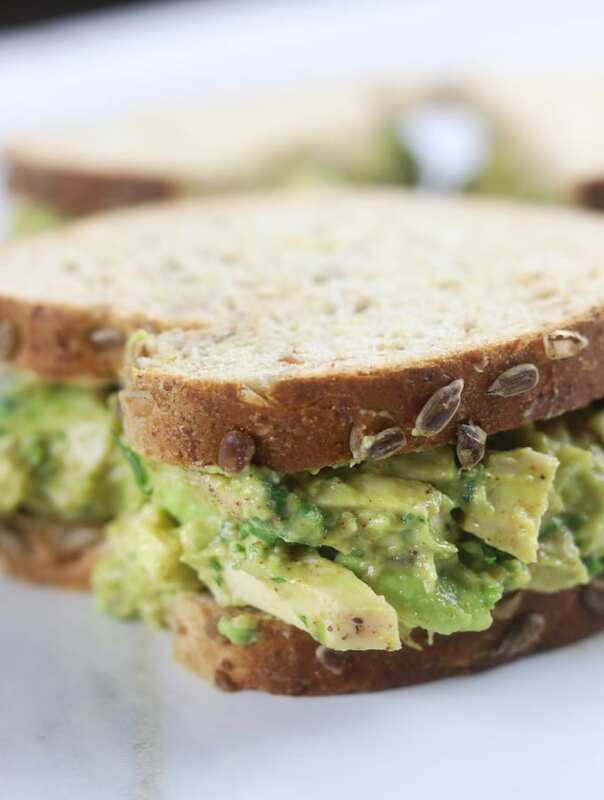 This step alone is a major calorie saver. From top to bottom, left to right: 1) Grilling tortilla over open flame. 2) Grill both sides. 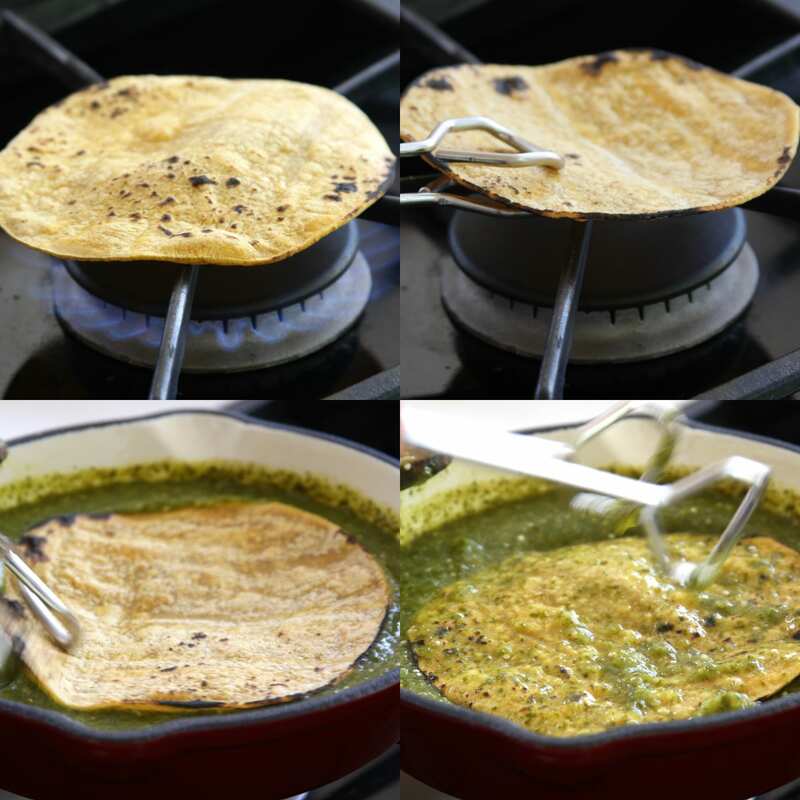 3) Dip tortilla into warmed salsa verde. 4) Turn tortilla over to cover both sides with salsa verde. Another way to lighten up these incredibly yummy enchiladas is to switch from whole milk queso fresco cheese to part skim milk queso fresco. 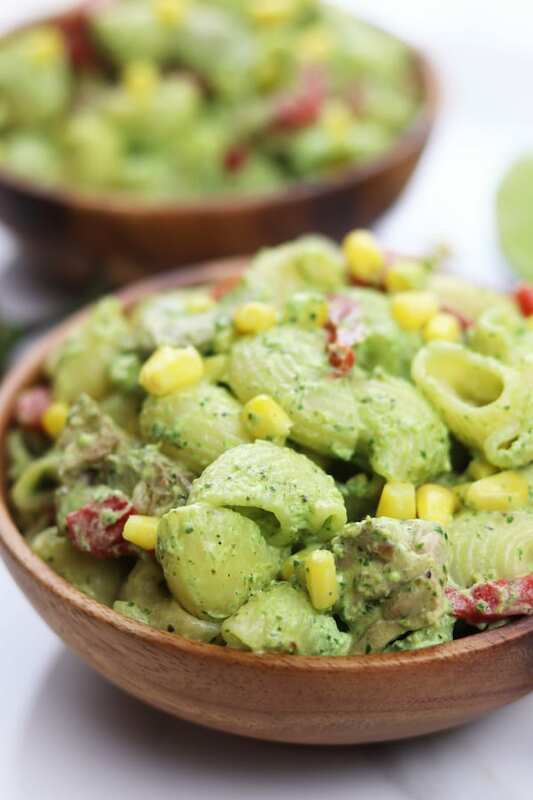 If you decide to use skim cheese, garnish with nonfat plain greek yogurt mixed with extra salsa verde. Just remember to keep the pepper jack full fat otherwise taste starts to become compromised. 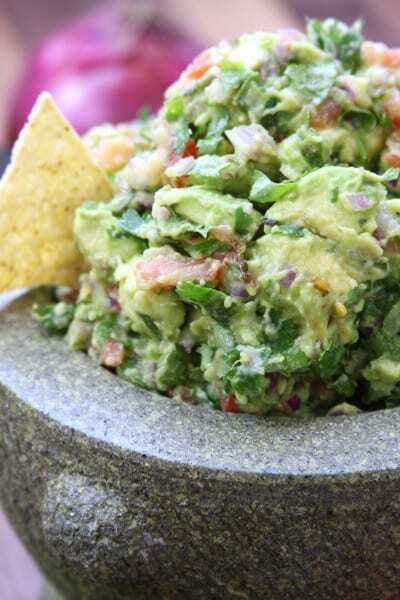 Salsa Verde basically means green salsa and is made with tomatillos, garlic, onion, cilantro, jalapeño, salt and pepper. I am sure that if you have never cooked with a tomatillo that is probably your next question. Tomatillos are like little green Mexican tomatoes that come in a husk and have a fairly strong lime taste. The are AMAZING!!! 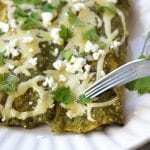 I used my Homemade Salsa Verde recipe for these Lightened Up Salsa Verde Chicken Enchiladas and the recipe gives more details on tomatillos. Just remember to double the recipe, you will have enough for the enchiladas and some for dipping chips. 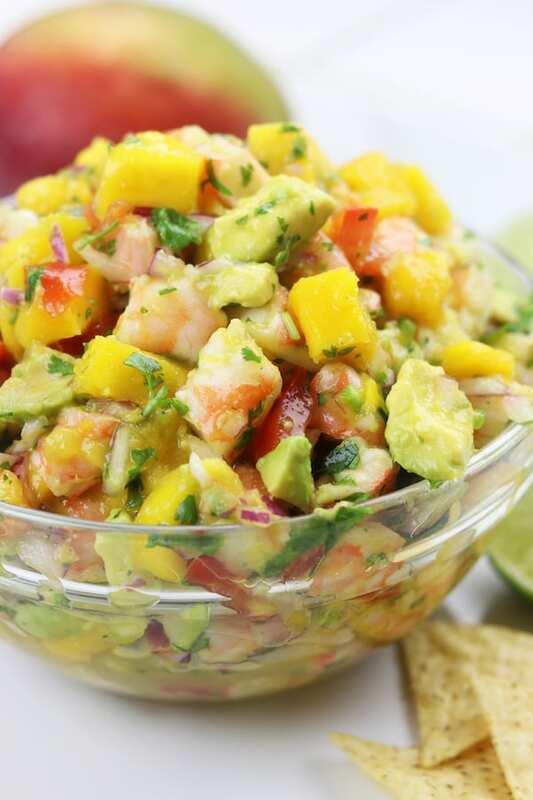 This recipe is enough for feeding a crowd but here is a secret. Even when there is only 2 or 3 of us eating, we will still make 24 enchiladas. Why you ask? Because these are so incredibly good that my family adores it as leftovers. We have had it for breakfast, lunch and dinner. I know, I know… that is a lot of cheese in one day. That is why we only make this about twice a year.